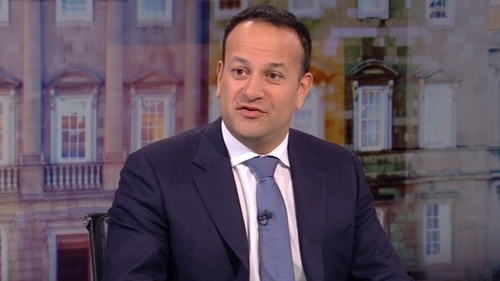 Taoiseach Leo Varadkar leads the line-up on Friday night's Late Late Show, with other guests including music superstar Michael Buble, country king Daniel O’Donnell, as well as comedian and author David Walliams. The Fine Gael leader will join Ryan Tubridy to talk about the highs and lows of his first 18 months as Ireland’s youngest ever Taoiseach. He’ll be telling Ryan what the last few years have been like for him and his family, why he describes his new album as "baby making music" and how rumours of his retirement were greatly exaggerated. Comedian David Walliams found fame with Little Britain and as a judge on Britain’s Got Talent. But 10 years ago he turned his hand to writing children’s books, going on to sell 26 million copies worldwide. He’ll be chatting to Ryan about the inspiration for his books and fatherhood, as well as his love for Simon Cowell. Donegal’s most famous son Daniel O’Donnell will be in studio to chat about coming home for Christmas to spend time with his wife Majella. The Late Late Show airs this Friday, December 7th, RTÉ One, at 9.35pm.